Individual contribution limit for this campaign is $2,500/person total. 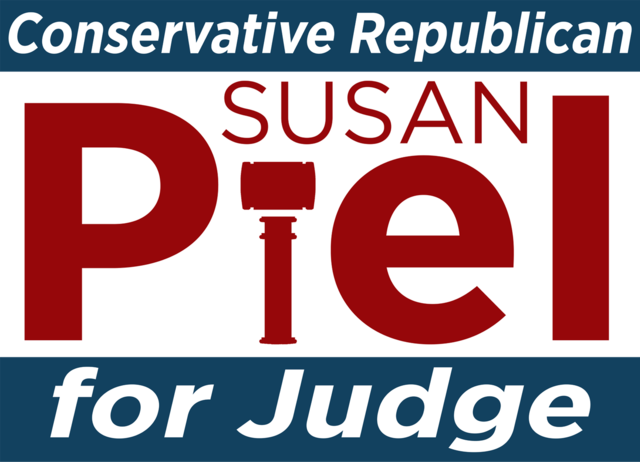 Political advertisement paid for by Susan Piel for Judge campaign in compliance with the voluntary limits of the Judicial Campaign Fairness Act. Corporations and labor organizations are prohibited from donating. Contributions from foreign nationals are prohibited by law. State law requires that we collect and report name, address, occupation and employer of contributors. Donations are not deductible as charitable donations for federal income tax purposes.